Typically, the word “great” wouldn’t necessarily be associated with an acoustic guitar under $500. 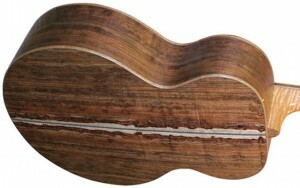 However, new techniques in manufacturing and wood aging are allowing some builders to offer quality guitars at a very reasonable price. 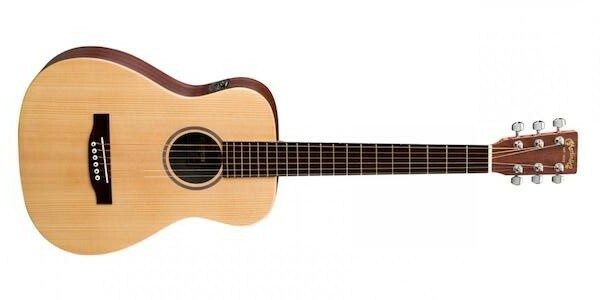 Guitar World’s Acoustic Nation has put together a list of the top affordable acoustic guitars. We’ve included the list below but you can find additional information like manufacturer links and prices for each guitar here. Also be sure to check out our article What Everyone Should Know Before Buying Their Next Acoustic Guitar. 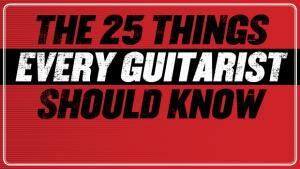 25 Things Every Guitarist Should Know: Askold Buk has come up with the 25 things every guitarist should know. 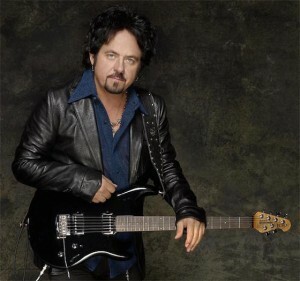 We have a portion of the list below, but check out Guitar World to see the expanded list. Where Does Volume Come From? Peter Vogl has a quick tip that will help you create more volume with your strumming technique. This is a great way to add dynamics to your playing. New Pickups vs. New Guitar: Are you struggling with the choice of upgrading your pickups or getting a whole new guitar? Or did you even consider just changing your pickups? Seymour Duncan has a guide to making this decision based on what you’re hoping to achieve with the upgrade. Optimize Your Guitar for Under $100! On a similar note, Tony Nagy over at Premier Guitar has written an article on 10 Ways to Optimize Your Guitar! Some may seem like common sense, but it never hurts to make sure your guitar is at its best. Better Barre Chords for Classical Guitar: The size of the neck and strings can pose additional issues when trying to play barre chords on classical. Scott Morris has a lesson that will show you some different tips and ways to use partial and full barres. Modal Theory: Modes and Music Theory—two terms that can make the uneducated cringe, while those in-the-know smirk with their powerful knowledge. 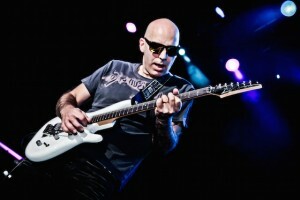 Head over to Guitar World to learn from the modal master, Joe Satriani, and expand your chops! These are three key factors that play a huge role in the craftsmanship of a guitar. You check out the specifics over at Premier Guitar. Warm Up Drill: We have two new practice sessions that will get you comfortable using different positions of the Am Pentatonic Scale. Lesson 1 will teach you the exercise and Peter will play along with you at two different speeds. In Lesson 2 we’ll try using a triplet rhythm and speeding things up a bit. Read the article by Jamie Dickson for more details and context! Create a Playlist: Reddit user J_for_Jules also has a playing tip for you. As you learn new songs, add them to a playlist in iTunes, Spotify, etc. Practice with this regularly to work on playing through the whole song and playing in time. It’s also a good way to keep track of your achievements. ZZ Top Style Solos: We have a discounted four lesson package by Jody Worrell that will teach you the soloing style of Billy Gibbons. Learn how to make the right tone and note choices to create this blues rock sound. The GoPro View of EVH: In an effort to showcase his new 5150IIIS guitar amp, Eddie Van Halen strapped some GoPro cameras all over himself and his guitar. The end result is a close up view of his playing technique and gear. iRig 2: Some of the most innovative products to come into the market recently have been those which allow guitarists to easily plug in and play—No heavy guitar amp required. 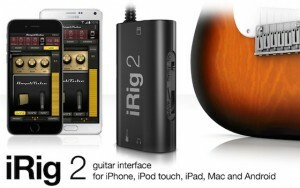 IK Multimedia’s original iRig had been a huge success, and they’ve just introduced the iRig 2. This time around they’ve added an adjustable input gain, more compatibility with Android devices, and a 1/4″ amplifier output so that you can use your smartphone or tablet as an effects processor in front of your amp. In my opinion, software such as this won’t replace amplifiers altogether, but from both a practicing and instructional viewpoint, it really makes mobile playing very user-friendly. Acoustic Gigging Tips, Lessons, and more! Gigging Tips for Acoustic Players: How soon before a performance should you change strings? What type of amplifier should be used? What is a DI Box? 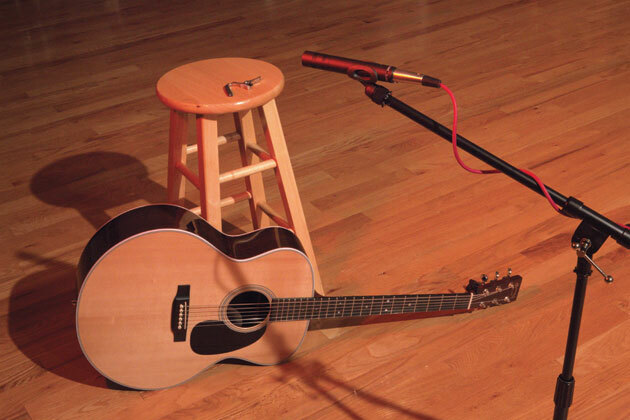 If you’ve ever asked yourself these questions or are new to performing, head over to Premier Guitar, where Pete Huttlinger has written an article for the gigging acoustic guitar player. How to Choose the Right Pick: There are a lot options out there when it comes to guitar picks (shape, thickness, material). Peter Vogl has a quick tip for you that will help you figure out which pick suits you best. Whiskey Before Breakfast: Jesse from Bride & Groom put together a basic chord progression and lead tab for this bluegrass standard. In addition to the video you can also get a Guitar Pro File or PDF of the tab. G4 Experience: It’s almost time for summer camp, and at this year’s G4 Experience, you can learn from guitar masters Satriani, Abasi, Govan, and Keneally. What better way is there to spend your summer than by taking masterclasses by some of the world’s greatest guitarists? Get full even info at http://g4experience.com . If you don’t have the scratch to learn with Satch, you can still enjoy this excellent interview with the guys. 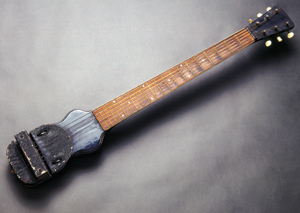 1943 Fender Guitar: It’s funny when you think about it, but one of the most important guitar manufacturers began its history with an instrument called the “log.” This “guitar” was developed by Leo Fender and its basic design, though crude, would eventually lead the way to what would become one of the most popular electric guitars in history—the Fender Stratocaster. Read what Deke Dickerson has to say about this in Guitar Player.